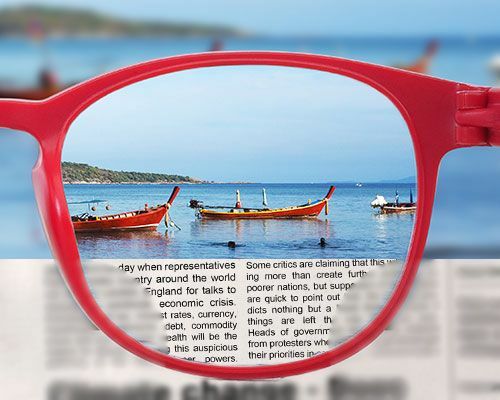 The progressive lenses price in Malaysia can vary a lot due to many factors. 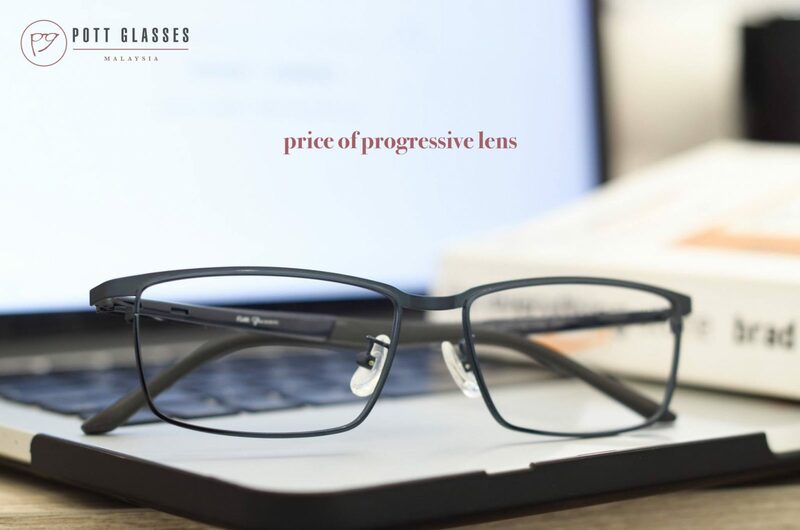 In this article, you will know how progressive eyeglasses look like, and you will know the what factors affect the price of progressive lenses and how to choose one that suit you. But first, we have tabulated the price of progressive or multifocal glasses price for your reference. How do progressive lenses look? Progressive lenses appearance looks like normal lenses on glasses. Trained optical technicians, general opticians and optometrists can identify the difference of them. Yet even though they may appear like any additional lens, there are several big differences that distinguish them from one another. Progressive glasses come equipped with multifocal lenses that is used to correct distance, near view and intermediate view. The majority of progressive lenses have laser beam etchings within the lens that are virtually invisible towards the wearer and may only be spotted by experienced opticians. What determines the progressive lenses price in Malaysia? The material utilised for your glasses will likewise decide the cost. Standard Plastic lenses are thicker, heavier, less scratch-proof and are not guaranteed to be non-shatterable. Polycarbonate lenses are slightly more expensive. These glasses are more slender, lighter, and more strong than plastic, suitable for half frame or rimless glasses. Glass lenses are slowly phased out due to its heavy weight. However, there are wearers who love glass lens because it is clearer compared to others. Coating Coating is the core protective layers of the lens. It makes the lens more scratch resistant so that it can last longer. Besides, coating also provides other function for the lens such as UV reduction. A better quality lens has coating that does not peel off easily. This is important as we do not want it to lose the function due to peeling off. You may have heard of transition lens that change color under the sun, or computer lens that helps to protect the eyes from harmful blue light. These are additional features of lens that can cost more than ordinary lens. Index has no unit, and it’s used to reflect the thickness. In simpler form, you may call it category or group. Generally there are 4 indexes ie 1.56, 1.61, 1.67 and 1.74. The higher the index, the thinner the lens is. When we mention design, it does not mean the physical shape of the lens, not that one is round and another is square. You can read more about design of progressive lens here. Basically a better design lens will give you smooth power progressive so that distortion and waviness is minimised. One thing to notice is the profile of the transparent vs gray area. The larger the transparent area, the clearer the vision is. Now, when you wear progressive or multifocal glasses, do you want to have more clear vision or more distorted vision? Obviously everyone wants sharp and clear vision. That is why, wider/premium design is more comfortable to wear, and because of the technology involved, it is more expensive. So, which on suit you? Although wider designs are better, not everyone needs wide design. After all, it is more expensive! If you are just about to try progressive or multifocal glasses, you can start with entry level. It will cost about RM659 for one complete pair. If you want to upgrade from your current pair, then wider design will give you a better wearing experience. At the end of the day, go with your budget and get what suit you most! So the most compelling question: how much does a pair of progressive glasses cost? 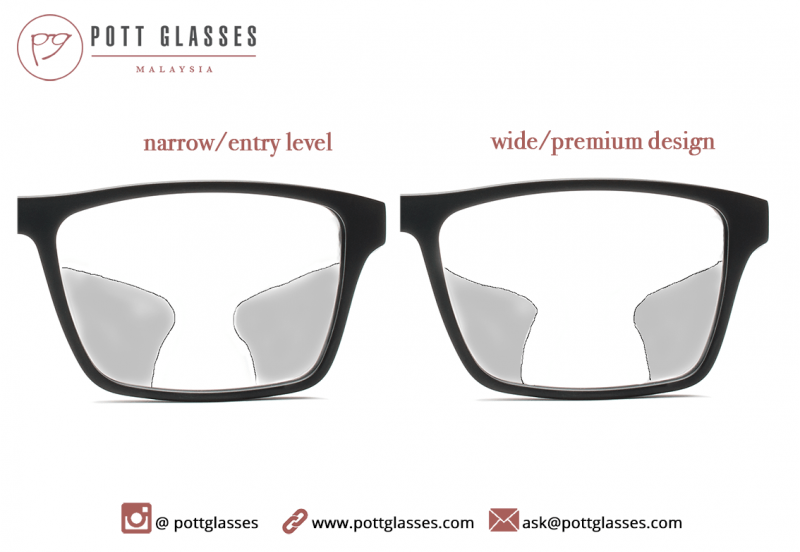 Here at Pott Glasses Malaysia, we always recommend to start with something of medium range and beyond. For medium range we are looking at RM659 for frame and lens, and the premium on can go up to RM2000. It is not so much of being particular about the exact range of lens, rather the design that suit your lifestyle. We are also giving additional when you make an appointment to visit us.